An important challenge the party will have to address is of delivery, given the lack of adequate financial infrastructure. In the last few days, the Congress party has talked about a scheme of guaranteed income support, NYAY, which it says it will implement if voted to power in the upcoming elections. However, several questions around the scheme remain: What is the nature of the proposed scheme? What is its expected size? How will it be financed? How will it be delivered to its intended beneficiaries? An income guarantee scheme is, potentially, a profoundly important policy intervention for securing the objective of reducing both poverty and economic inequality. There is a strong case for a major announcement of the type under discussion to be informed by a measure of clarity on the principal features of the proposed scheme. This should allow for approbation if the scheme is found to be sensible, and for constructive criticism if there are deficiencies in it (but also, of course, for destructive criticism from electoral opponents – for which there is no help). The following is a preliminary assessment of the Congress party’s announcement, undertaken on the strength of the limited information that has so far been made public. As far as can be ascertained, and after some initial confusion on its precise design, it appears now that the scheme aims to guarantee a transfer of Rs 6,000 to every family that earns less than Rs 12,000 per month if the household is a member of the poorest 20% of all households in the population. The idea, apparently, is to ensure that the required income will be transferred directly into the beneficiary’s bank account. On an annual basis, an eligible family would be entitled to Rs 72,000. The estimated number of households in 2018 is 25 crore; 20% of this number is five crore families. Five crore families multiplied by Rs 72,000 per family per year works out to an annual bill of Rs 3.6 lakh crore. One conundrum this scheme presents can be described as follows. I do not have access to income distribution data, so the question is a hypothetical one. But suppose it were the case that the richest of the eligible families – call it Family A – has a monthly income of Rs 11,999 and the poorest of the ineligible families – call it Family B – an income of Rs 12,001. Then, though the difference in their current incomes is a paltry Rs 2, at the end of the transfers, Family A would have an income of Rs 17,999 while Family B’s income would continue to remain at Rs 12,001, making for a post-transfer difference in their incomes of nearly Rs 6,000 (or precisely Rs 5,998). This sort of discontinuous hiatus and rank-reversal is rather bizarre, and one fails to see how it can be reasonably accounted for. 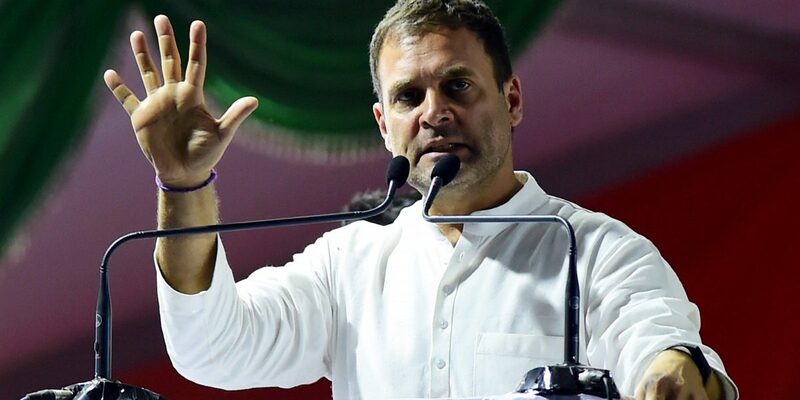 I suspect that, having gone back on its initial proposal of ‘topping up’, the Congress will have to return to it, so that the formula to be employed is: a transfer of Rs 6,000 to any family with a current monthly income of Rs 6,000 or less, and a transfer equal to the gap between Rs 12,000 and current income for any family with a monthly income exceeding Rs 6,000. This strikes me as being the most benign interpretation available; and under this interpretation the maximum transfer to an eligible family would be Rs 6,000 per month. How fiscally ambitious is the scheme? Contrary to many suggestions of fiscal irresponsibility driving the scheme, including by the vice-chairman of the NITI Aayog, the Congress’s proposed scheme is not particularly ambitious in terms of size and affordability. Indeed, given an Indian GDP of around Rs 188 lakh crore in 2018-19, the bill of Rs 3.6 lakh crore as a proportion of GDP is just around 1.9%. This, to recall, is an upper bound on the correct estimate. Something a little less than 2% of GDP which is aimed at providing a wholly non-trivial cushion to those in deep income poverty is scarcely a fiscally irresponsible intervention. To the contrary, it should be welcomed as a long-overdue measure of rectification of the morally outrageous levels of income-poverty and income-inequality to which this economy has been witness. Indeed, in work done elsewhere with my colleague D. Jayaraj, we have pointed out that from 2005-06 to 2013-14, the average annual ratio of ‘revenue forgone’ (which is a measure of exemptions and concessions attracted by direct and indirect taxes) to GDP was of the order of 6.45%. This is mainly assistance to corporate and business interests. Nary a word of criticism has been levelled against support for the rich, while a prospective programme of a vastly more modest support for the poor is met with the charge of violating fiscal discipline. This, if ever, is a case of straining at gnats while being prepared to swallow camels whole. In a recent essay on basic income, I have cited figures from Barclay’s Hurun Index Rich List which suggest that if the net worth of the 831 richest entities in the nation were to be capped at its present level with an annual wealth tax of 10%, then the revenue generated should amount to about 2.4% of GDP. When we further take account of the black money in the system, and the possibility of employing a part of our foreign exchange reserves for financing development (on which see Gurbachan Singh’s article in The Wire), it becomes apparent that there is no reason why we should be guilty of profligate public spending for the poor if only we are willing to finance that spending by taxing the rich. The bill for income guarantee is bound to grow if it is indexed for inflation and when we take account of population growth. By the same token the GDP figure should also grow with the growth of per capita GDP and population growth. If both the numerator and the denominator should grow at roughly the same rate, the ratio of the income guarantee bill to GDP might be expected to be roughly constant over time. This paves the way for specifying income support not as a fixed amount, but as a fixed share of GDP. And this notion of a universal basic share is precisely what has been advanced by Debraj Ray. A ballpark figure he speaks of is 9% of GDP, compared to which the Congress party’s 2% is a very conservative number. If anything, the Congress’s announced income support scheme is fiscally unambitious, not fiscally imprudent, a point to which we shall return. How logistically ambitious is the scheme? One would have to say: very. To see what is involved, it is useful to briefly review the problems, in any basic income guarantee scheme, of ‘cadasterability’ and ‘conduitability’, terms employed by the basic income scholars J.D. Wispalaere and L. Stirton. ‘Cadasterability’ refers to the problem of preparing a ‘cadaster’ or list of all the names of eligible beneficiaries, with data on their present incomes. ‘Conduitability’ refers to the problem of actually physically delivering the benefit of a welfare programme to its beneficiaries. So far, the Congress party has been silent on how it proposes to deal with these problems. Notice that since its income guarantee scheme is addressed to only the poorest quintile of the population, the presumption must be that it has the ability to target the intended beneficiaries both accurately and relatively costlessly. This is actually a massive information problem, fraught with the risks of what in the insurance literature is called ‘adverse selection’. This is the danger, in the present context, of excluding eligible beneficiaries from, and including ineligible beneficiaries into, the welfare scheme. A properly universal scheme of income support would mitigate this problem to a considerable extent. For instance, consider a policy in which, say, every household in the country is given an equal supplementary income of Rs 50,000 per year. With 25 crore families, this should add up to a transfer bill of Rs 12.5 lakh crore, which is about 6.6% of GDP. As argued in the previous section, some elementary concern for the rightness of progressive taxation and transfer should make it possible to see that we are not speaking of rapine and loot! Of course, a universal scheme of the type just described would be less progressive than a targeted scheme of the type favoured by the Congress, but this is the sort of tradeoff inevitable in the tussle between securing progressivity on the one hand and avoiding adverse selection on the other. In this sense, by being fiscally more ambitious, an income support scheme could be logistically less so. The problem of ‘conduitability’, however, remains an important one. The poorest people are the ones that typically do not have access to banks or post office savings accounts, so unless there is concurrent effort (and money) incurred on building this infrastructure, delivery will continue to constitute a major difficulty. Inasmuch as banks and post offices are important components of any economy’s infrastructure, investment in such infrastructure is desirable quite independently of its role in the ‘conduitability’ of an income support scheme. It would be good for the Congress party to acknowledge this problem and to indicate a commitment to addressing it. There is every reason to welcome the Congress party’s proposal. This is not least the case when the economy is reeling from the impact of a sequence of economic failures under the present dispensation, which have been comprehensively reviewed by Maitreesh Ghatak and Udayan Mukherjee. This country cannot for much longer bear the present burden of poverty, inequality and general disarray. Having said this, there is also a strong case for the Congress party to renounce some of its traditionally pro-business and pro-corporate leanings; to be fiscally more adventurous, in terms of committing itself to larger levels of pro-poor spending through redistributive taxation of the rich, with an emphasis on wealth, agri-business and inheritance taxes, and a principled attack on the black economy; and to pay attention to the problems of ‘cadasterability’ and ‘conduitability’ which are general features of income guarantee schemes but must nevertheless be confronted openly and publicly. There is also a case for avoiding the temptations of glibness, sloganeering and extravagant promises of the wholesale abolition of poverty. The Congress is on to a good thing. It must be hoped that the venture is sustained by a stance of honesty and modesty, not botched by the sins of slickness and superficial plausibility. And above all, it would be good to be assured – if such indeed is the resolve – that the proposed income scheme will not be purchased at the cost of other existing welfare provisions in the Budget. 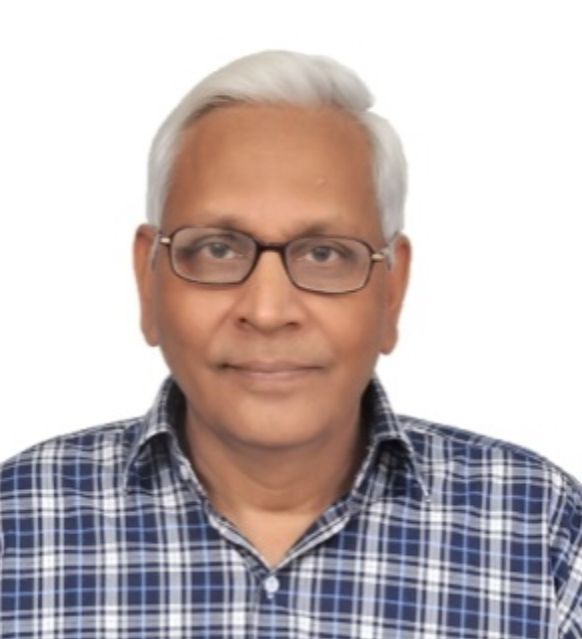 S. Subramanian is an economist who lives and works in Chennai.